“Pol Chief met family members of Tiran Alles on June .Alles’ parents are well-known and respected educators who have founded several schools in Sri Lanka, and who have educated many of Sri Lanka’s elite. 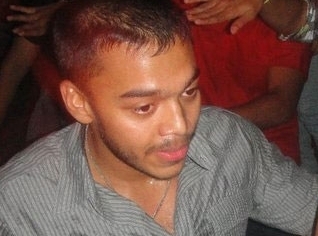 Most recently, one of their schools had been providing free after-school tutoring to President Rajapaksa’s youngest son to help him pass his university entrance exams. This relationship had persisted until late May, they told us.” the US Embassy informed Washington. The Colombo Telegraph found the related leaked cable from the WikiLeaks database which details the secret agreement with the Tamil Tigers to suppress Tamil votes in the 2005 Presidential election. The cable was written on June 14, 2007 by the US Ambassador to Colombo, Robert O. Blake. 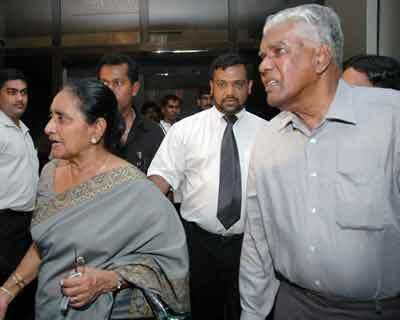 Related news to this cable; WikiLeaks: Ranil Has Called For The Arrest Of Basil, Lalith And P.B. his house was reportedly ransacked and the video disk stolen. Chief of Staff Lalith Weeratunga, and Treasury Secretary P.B. with the Tamil Tigers to assure Mahinda Rajapaksa's election. original in a secure place accessible to his attorney. least parts of the video. conditions that include a weekly check-in with the TID. seemed to pay special attention to Alles' home office. about a secret deal between Basil Rajapaksa and the Tigers. Victims of the Condom Theory. BUGGER WHO CHEATED AT LAW COLLEGE YO GET BOGUS QUALIFICATION TO BECOME A FAKE LAWYER.